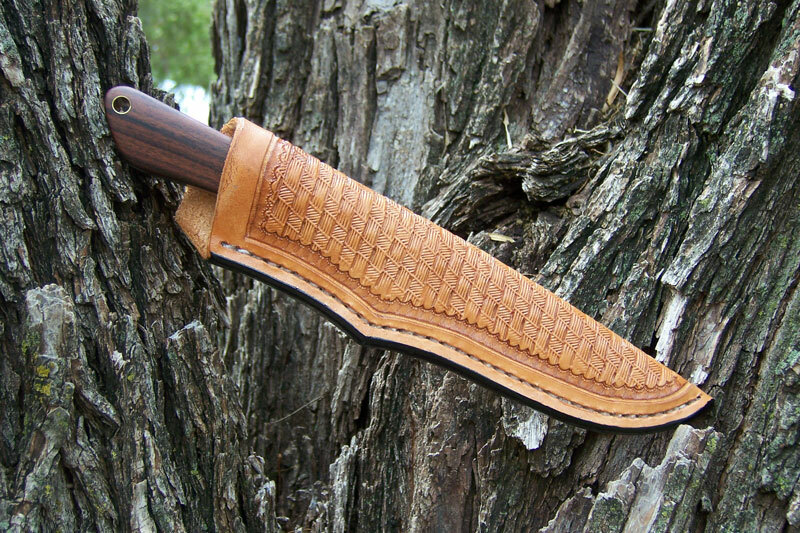 For several years, I’ve been somewhat limited to knives under 8 inches because of the small size of my heat treating kiln. This blade sat on my work bench for no less than two years awaiting the time I would either send it out for heat treat or get a bigger oven. I got a bigger oven, and this knife made it into the first batch of blades. 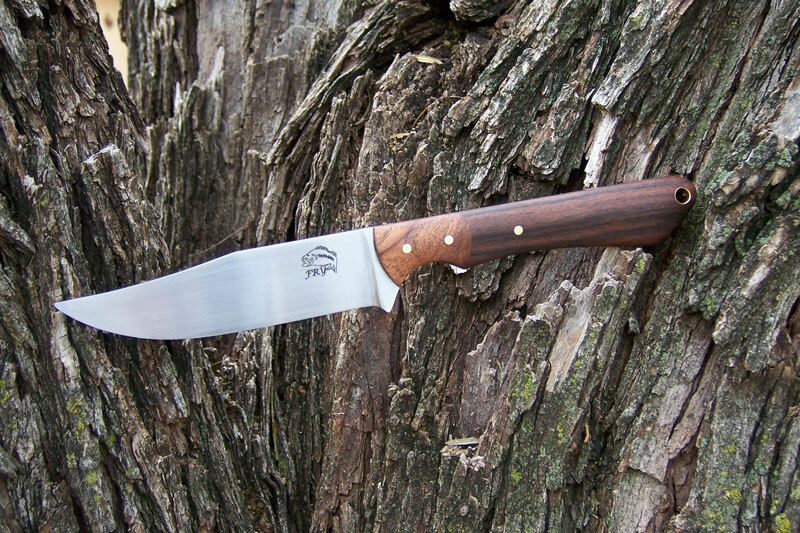 This knife is 9 1/4″ long with a 4 1/2″ blade of D2 steel at RC 61. 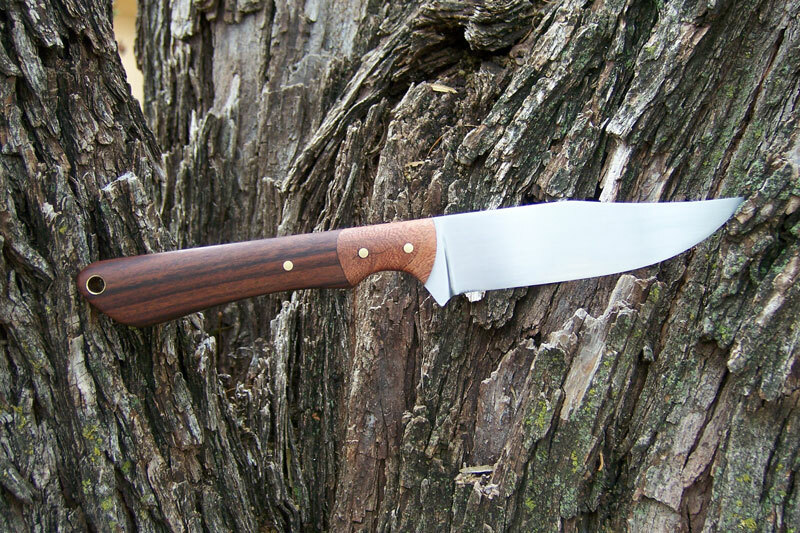 The handle features dovetailed mesquite bolsters and rosewood handles. 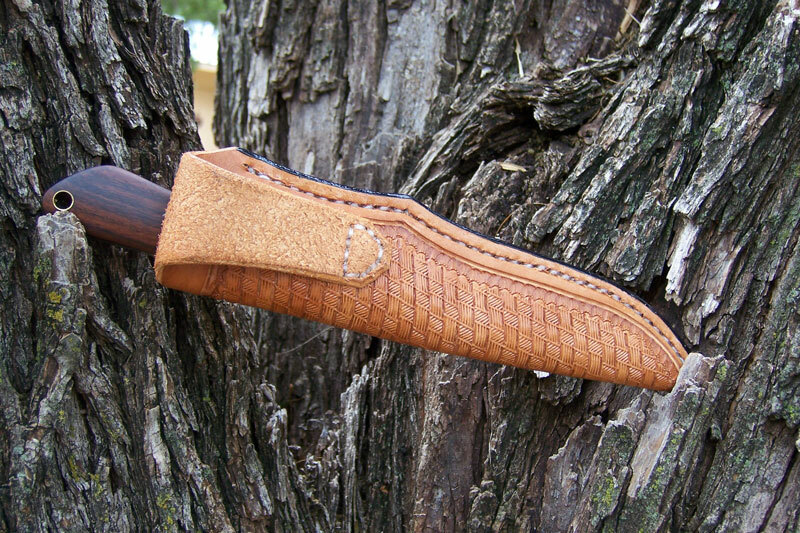 The sheath is my work as well. 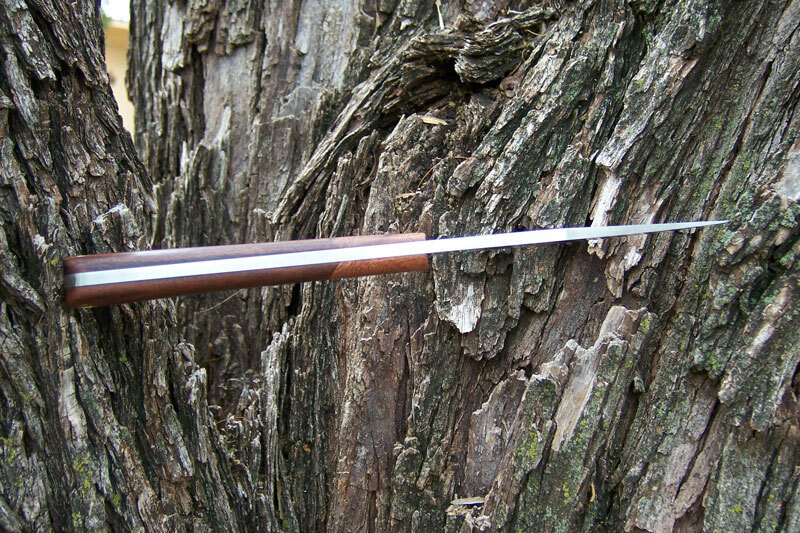 A knife like this starts at $200.